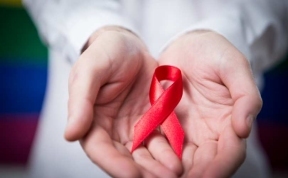 Erie Family Health Center is now offering its comprehensive Lending Hands for Life (LHL) program for people living with HIV at the Erie Foster Avenue Health Center in Albany Park, located at 5215 N. California (at the corner of Foster). This new service site will expand the current efforts of Erie’s LHL program, offering HIV primary care, lab services and case management services, among others, to additional patients. Since 1989, Erie Family Health Center has been providing comprehensive HIV treatment and prevention services through the LHL program, housed at the Erie Humboldt Park Health Center. Today the program serves more than 360 patients per year utilizing an individualized data-driven approach to care. This individualized data-driven approach is proving effective for patients—92 percent of LHL patients are retained in medical care—meaning that they are keeping their appointments and adhering to their medications. Additionally, 91 percent of Erie LHL patients have achieved an undetectable viral load (the level of HIV in their blood). 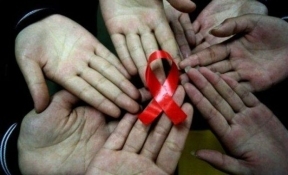 In comparison, in 2014 the U.S. Centers for Disease Control and Prevention reported that only 40 percent of people living with HIV were engaged in medical care and 30 percent had a viral load that was undetectable. The Erie team’s individualized approach includes contacting patients to ensure they are keeping medical appointments, dental visits and eye exams; providing CTA Ventra cards or other assistance as needed, including referrals to external partners for legal assistance; and coordinating regular onsite visits with a dietitian and pharmacist to meet with patients. For more information on the Lending Hands for Life program or to make an appointment, call 312-432-7220.